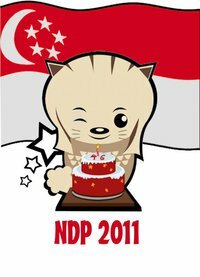 Senang Diri: National Day Parade 2011 - Singapore Spirit T-shirt design contest launched! National Day Parade 2011 - Singapore Spirit T-shirt design contest launched! The National Day Parade 2011 Executive Committee (NDP 2011 EXCO) invites you to have a go at designing a T-shirt celebrating NDP 11's "Singapore Spirit".